Whew, been a crazy week around here. 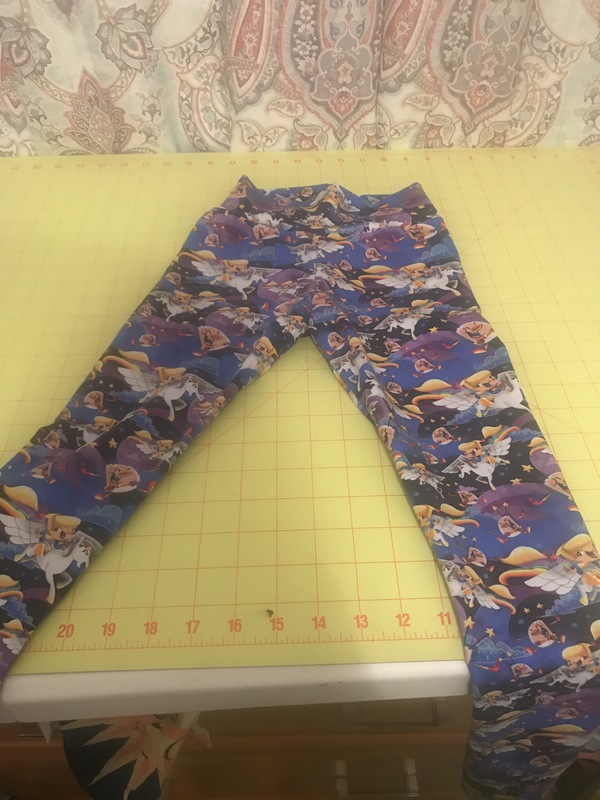 Gotten quite a bit finished though, sewed a shirt to go with my fireworks leggings, then decided to experiment with an iron on decal. 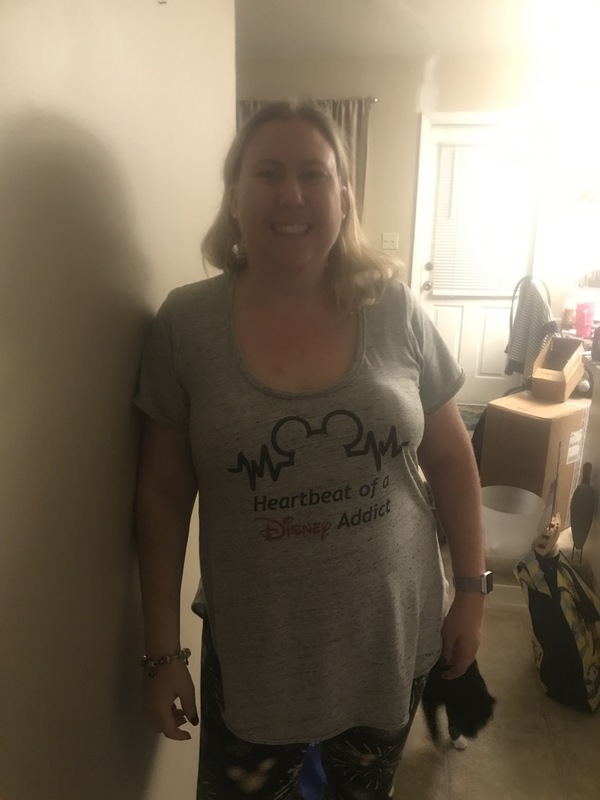 Hard to see but it says “Heartbeat of a Disney addict”. Shirt is Favorite tee by patterns for pirates. It fits, but not quite how I was hoping, I like my shirts loose and flowy with leggings, helps hide better. But I still plan to make more, maybe just ease the sides out a touch. 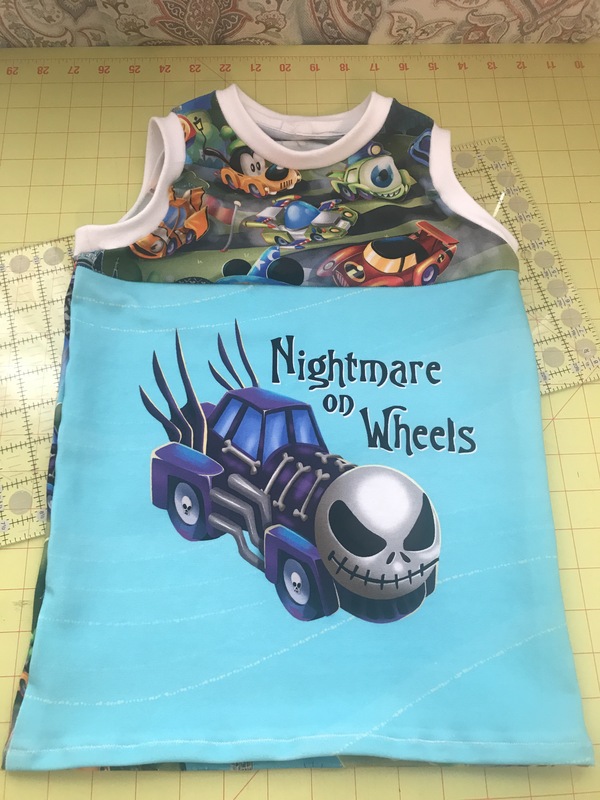 Then there’s this, another Matey Muscle Tank for my best friends son (kind of an adopted nephew) Who I am thrilled to say seemed to like it, that is, he didn’t tear it off 3 seconds after putting it on. I actually found the Buzz Lightyear panel for this set too, and will have enough to make another. Maybe the next size up though, kid is growing fast. 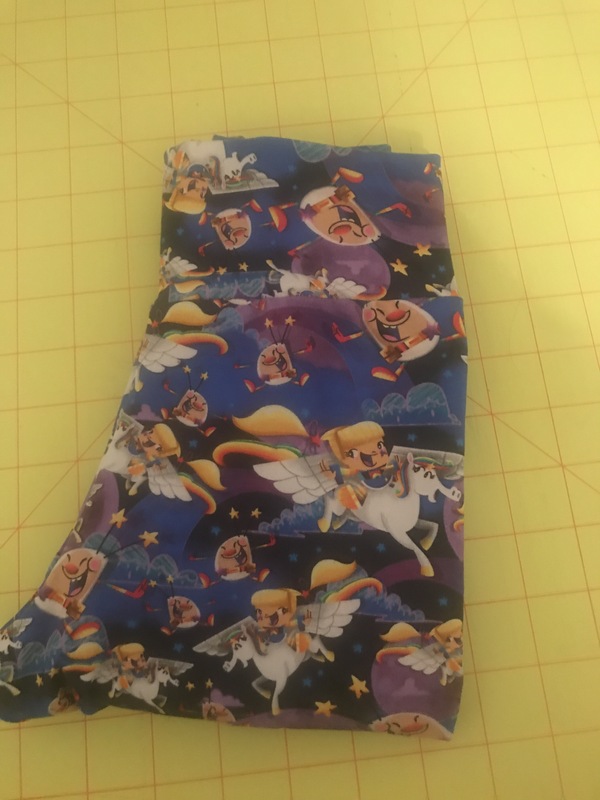 On to Rainbow Brite, got this fabric in a mystery pack and didn’t love it. Luckily my niece did, so Leggins it is. Made these about an inch longer than the super ladies pair based on feedback from her mom. Hopefully she won’t notice the people on the waistband are upside down. Made my inner perfectionist so mad when I noticed. Not quite mad enough to un pick all of that stretch stitch though. Up next; bathing suit attempt! 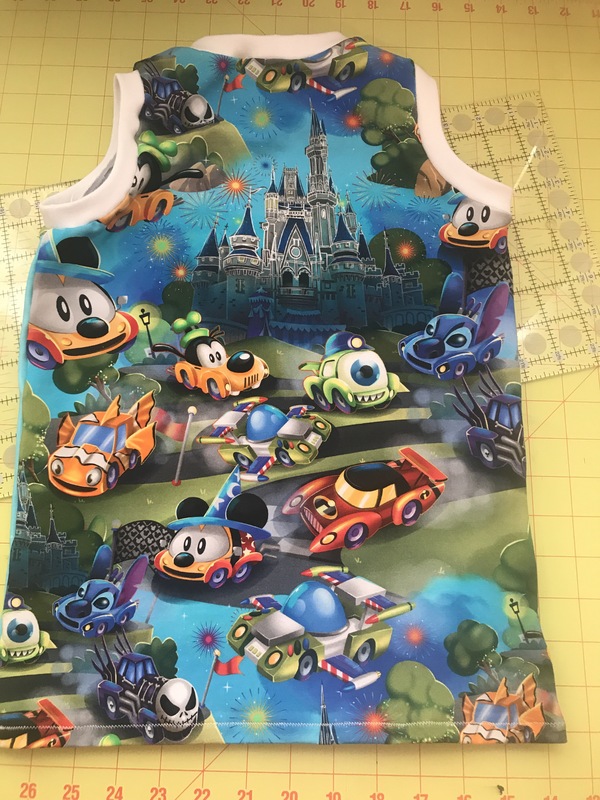 I’m terrified of this challenge and have been stalling with with muscle tanks and children’s leggings. But the time has come to face my fears…Tuesday when I’m off again.